It's not only fun...It's just plain easy! Just start with some icing and your favorite candies, and let your imagination take over. Plain and simple, the icing is the fun part. It's also the easiest part of a great Candy Cottage experience. Regular store bought cake icing, from your grocer or discount store is the best way to start a creation. We recommend a white or classic white color. Normal vanilla icing will "yellow" as it dries. 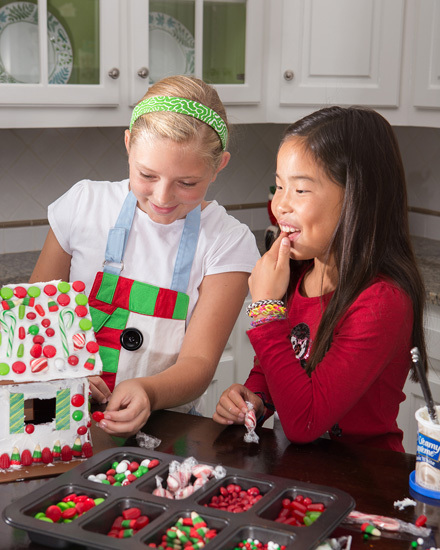 Use the icing to cover your entire creation, or just use it to hold your candies in place and let some of the gingerbread house show through. 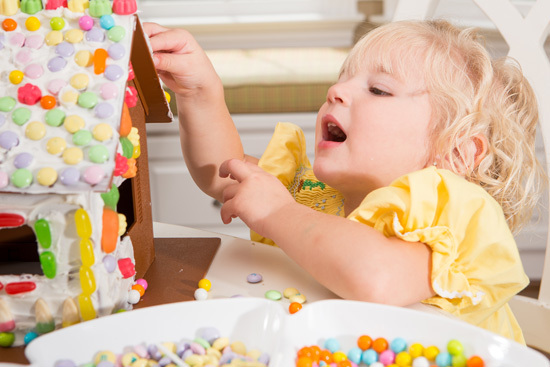 Straight from your cupboard, plain cereal makes an excellent Candy Cottage decoration. It makes great roofing and creative siding. Best of all, it is easy for little fingers to graps, and sticks like glue to help keep youngsters happy and occupied! We don't use fancy, custom made decorations and candies. 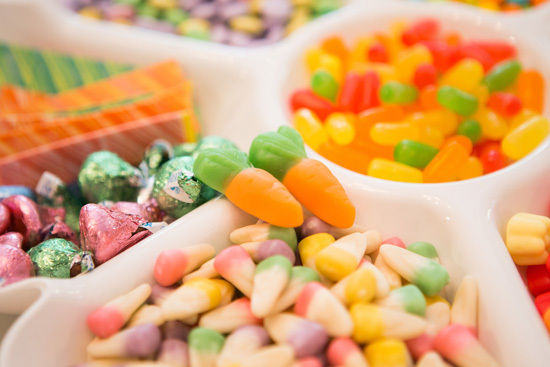 All of the candies used to decorate The Candy Cottages® on our website and in our brochures were bought at local grocery, discount and decorating stores, just like the ones in your neighborhood. 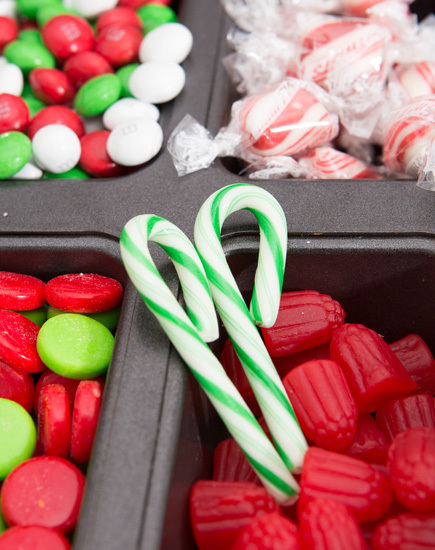 Many stores now stock a wonderful variety of creative candy at the various holidays. And, you do not always have to look too hard - plain old check-out aisle candy can make a great house, too!